At Trinity, we hire individuals who are passionate about their work and committed to the communities we serve. If you’re interested in beginning or continuing your career in the healthcare field, we encourage you to review the positions below and submit your application for consideration. New employees go through an extensive orientation process that combines classroom and hands on learning. Many of our employees move on to become firefighters, nurses, doctors or hospital administrators. Learn more about how to become an EMT or Trinity’s ongoing staff development. 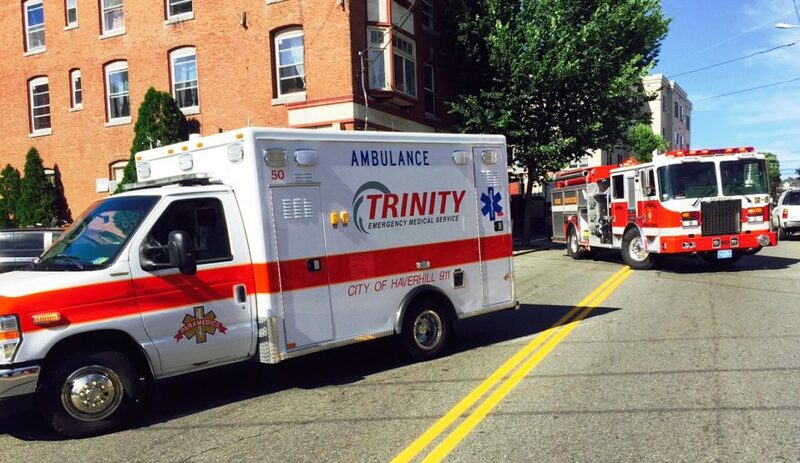 Trinity EMS, Inc. currently has both full and part-time schedules available for EMTs, Advanced EMTs, and Paramedics. Trinity EMS, Inc. also has full time schedules available for ChairVan Drivers. New employees who are hired by March 31st and commit to a full time schedule will receive a sign-on bonus. If you were referred to us by a current employee, please let us know in your application! To apply, please complete our online application, or send your resume to Mary Constantine at mconstantine@trintyems.com. If your qualifications match our needs, our HR department will contact you within 5 business days to schedule a date for you to attend one of our Pre-Hire Assessments. Questions? Call Mary Constantine at 978-441-9191, ext. 346. After you complete the Pre-Hire Assessment, your application will be reviewed along with your skills and written knowledge scores. A decision will be made and you will be contacted within 1-3 business days with a decision. If you are offered employment, you will be required to complete a mandatory 5 day orientation.